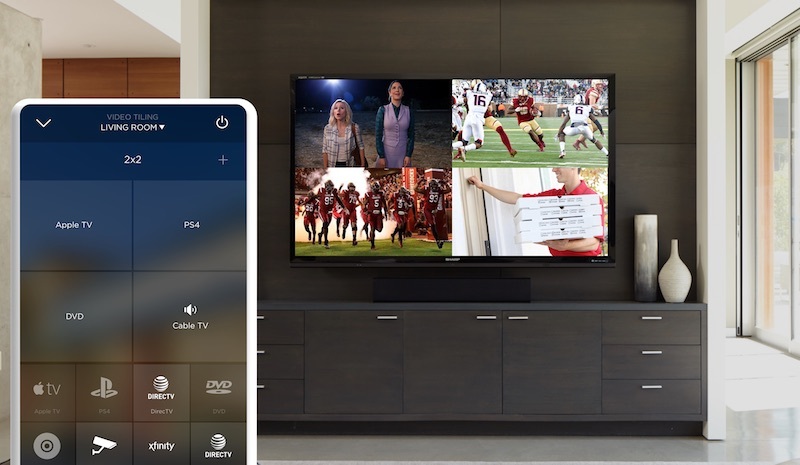 Savant, a world leading company in the smart home technology field, have recently announced that they have added high-resolution video tiling to their IP Video product line. The IP video tiling is now built into Savant IP Video input and output modules (with video processing) and can be offered with no added costs or specialty equipment required, according to the company’s announcement. Video tiling can now be added to any Savant IP video system, allowing for viewing of multiple sources at the same time on a single display. It’s also possible to connect unlimited sources to Savant’s IP Video distribution system with tiling, with the only limitation being the size of the network. The company claim that their IP video tiling is easier to use than many similar systems thanks to a more streamlined user experience within the Savant Pro 8 App. According to Savant’s announcement, the app leverages Savant’s drag-and-drop gesture interface when adding new “favourite channel” icons for easier channel selection per source. What’s more, it automatically detects the number of sources present and provides an array of predefined tiling layouts. Tiling pre-sets, too, can be added and saved to existing Savant Scenes enabling one-touch access to all favourite programming. Available now, Savant’s 4K video tiling is also backwards compatible with the company’s previous generation of chassis-based 1080p tiling solutions, in order to offer seamless compatibility with existing Savant systems.